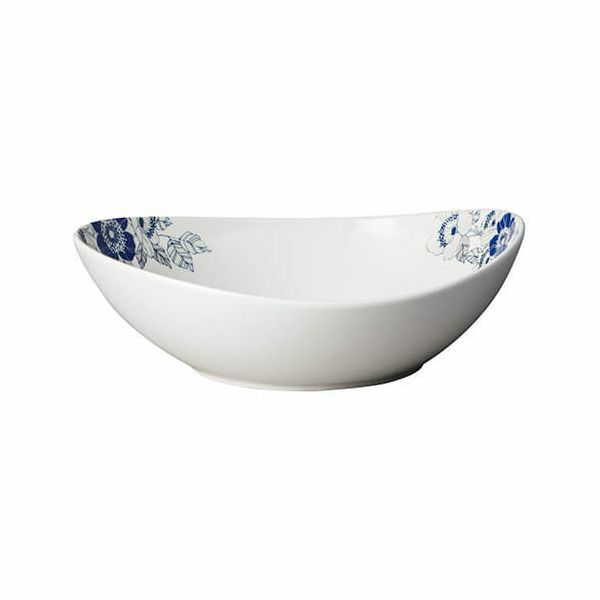 A superbly designed Large Serving Bowl from the Monsoon Fleur collection by Denby. The graceful curves are complemented by the Cobalt Blue floral line work that has shimmering silver detailing. 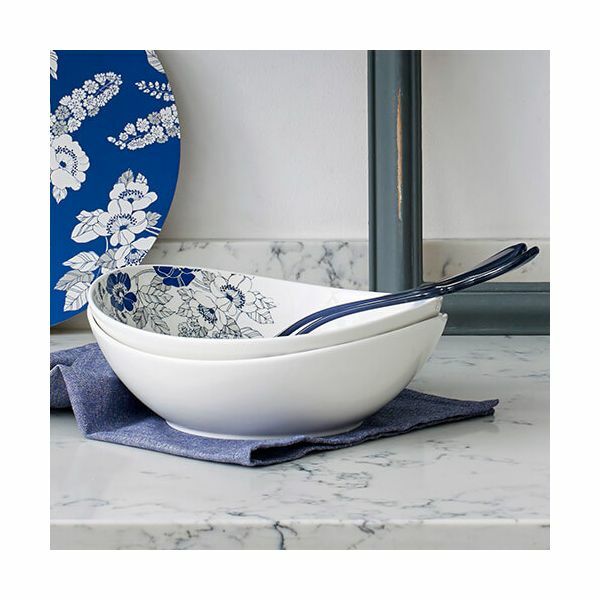 The Monsoon Fleur collection draws on the traditional popularity of blue and white tableware, adding to it a touch of glamour and contemporary touches that make it suitable for both classical and contemporary environments. Tough enough to be used every day, delicate enough to be used for special occasions and entertaining.